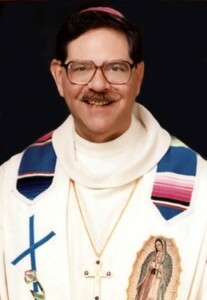 Pray the Chaplet of the Divine Mercy along with Bishop Richard J. Garcia and the Oblates of St. Joseph. You expired, Jesus, but the source of life gushed forth for souls, and the ocean of mercy opened up for the whole world. O Font of Life, unfathomable Divine Mercy, envelop the whole world, and empty Yourself out upon us. 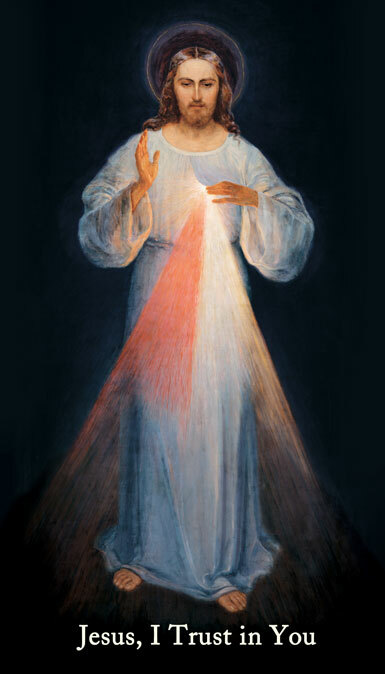 O Blood and water which gushed forth from the Heart of Jesus as a fountain of Mercy for us, I trust in You. Our Father, Who art in heaven, hallowed by Thy Name. Give us this day our daily bread, and forgive us our trespasses, as we forgive those who trespass against us. He was conceived by the power of the Holy Spirit, and born of the Virgin Mary. He descended to the dead. On the third day, He rose again. the resurrection of the body, and the life everlasting. in atonement for our sins, and those of the whole world. have mercy on us, and on the whole world.